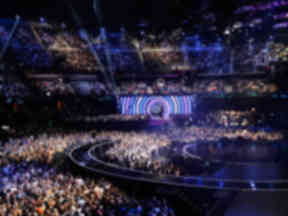 The SSE Live Awards will celebrate an incredible year of entertainment. Glasgow: The SSE Hydro is a world-class venue. 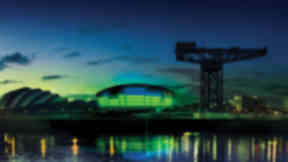 Entertainment fans are being called to vote for their favourite event that took place at The SSE Hydro in Glasgow last year. Entering its fourth year, the SSE Live Awards now features voting categories including Best Sporting Event, Best Comedy Show, Best Live Entertainment, Best Solo Artist and Best Group. The SSE-sponsored venue celebrated an incredible year in live entertainment with shows including Paul McCartney, Britney Spears, Arcade Fire, Kevin Bridges, Premier League Darts, WWE Live, Disney on Ice and Game of Thrones - The Live Concert Experience. The previous UK-wide campaign garnered over one million votes with Andy Murray Live taking the coveted crown for the second year running. Colin Banks, head of sponsorship & reward at SSE, said: "What an incredible year 2018 was for live entertainment. "We're really excited to be bringing the SSE Live Awards back for its fourth year after over a million votes were cast for 2017. "What makes these awards so special is the fact that they are the fans' awards - it is their choice who wins and that makes it really special for the acts that are honoured with the title." Voting is open until February 4. All those who vote will also be in with the chance to win tickets and VIP experiences at The SSE Hydro in 2019. Go to ssereward.com for more information.